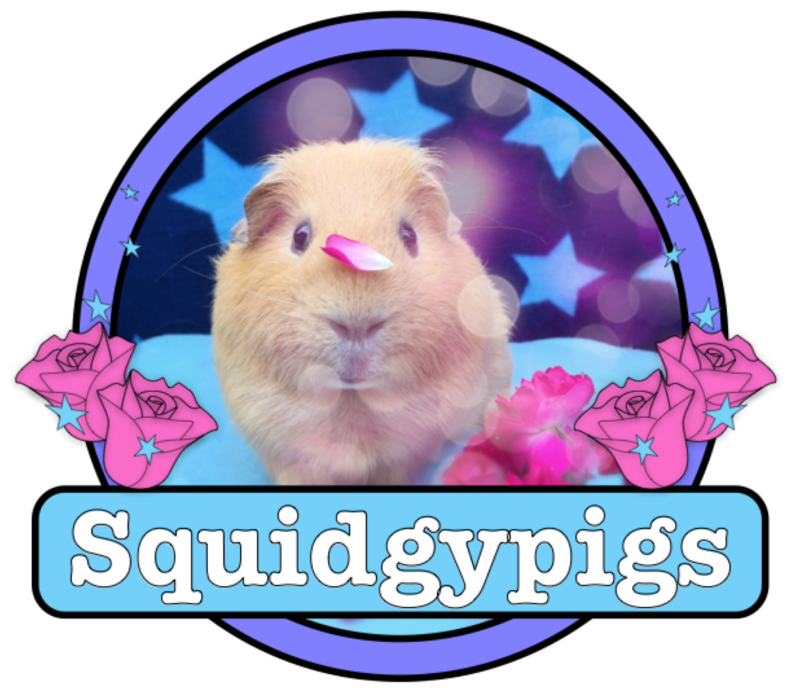 As part of their 10th Birthday celebrations we were delighted that the lovely folk at Rosewood Naturals sent the Squidgypigs a selection of their latest products to test. Today we are reviewing Rosewood Naturals’ Woven Stack ‘n’ Hide den. A woven hidey tunnel with well proportioned entrances. Made only from natural materials (bulrush). Contains no glue or wires. 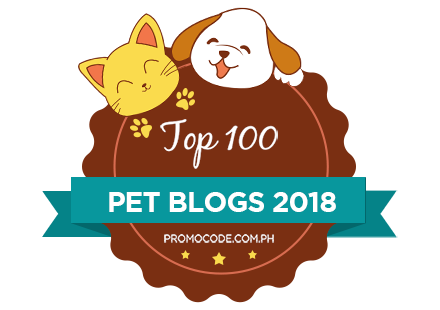 What can your pet do with it? Hide in the den (See Doughnut above). Stack two dens on top of each other for piggy-block-of-flats fun. Climb on top of the den. Run through the den as a tunnel. 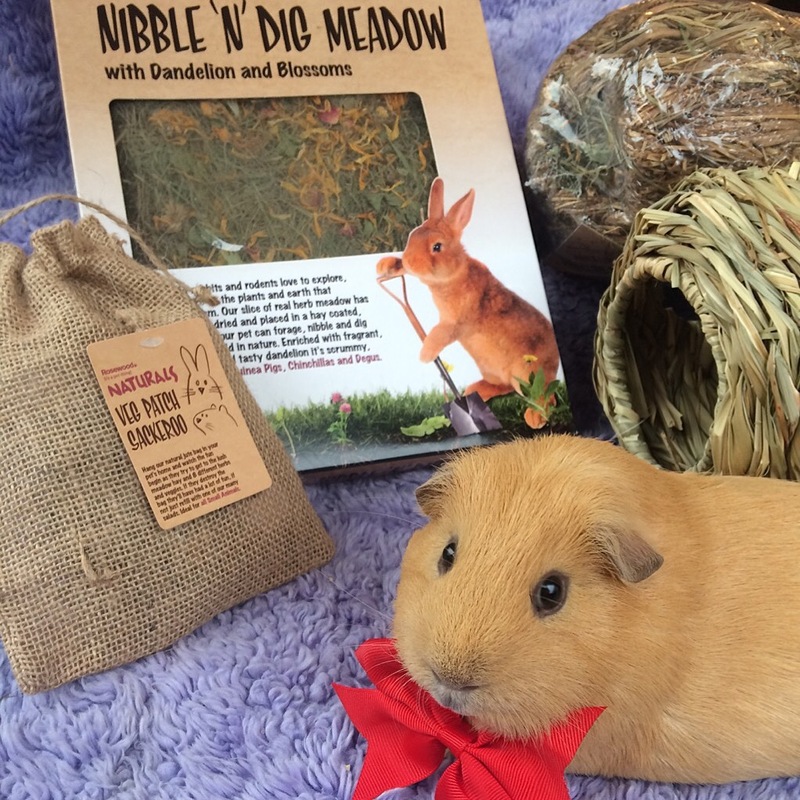 You could hide hay or treats in the den to give your piggies a challenge. The Woven Stack ‘n’ Hide is made by Rosewood and is part of their Naturals Range. Based in the UK Rosewood are a leading name in pet products and sell their products globally. Where Can I Buy A Woven Stack ‘n’ Hide? This is a new product so if you can’t find a Stack ‘n’ Hide in your local pet supply shop they should be happy to order you one. The Woven Stack ‘n’ Hide is made from 100% natural bulrush. 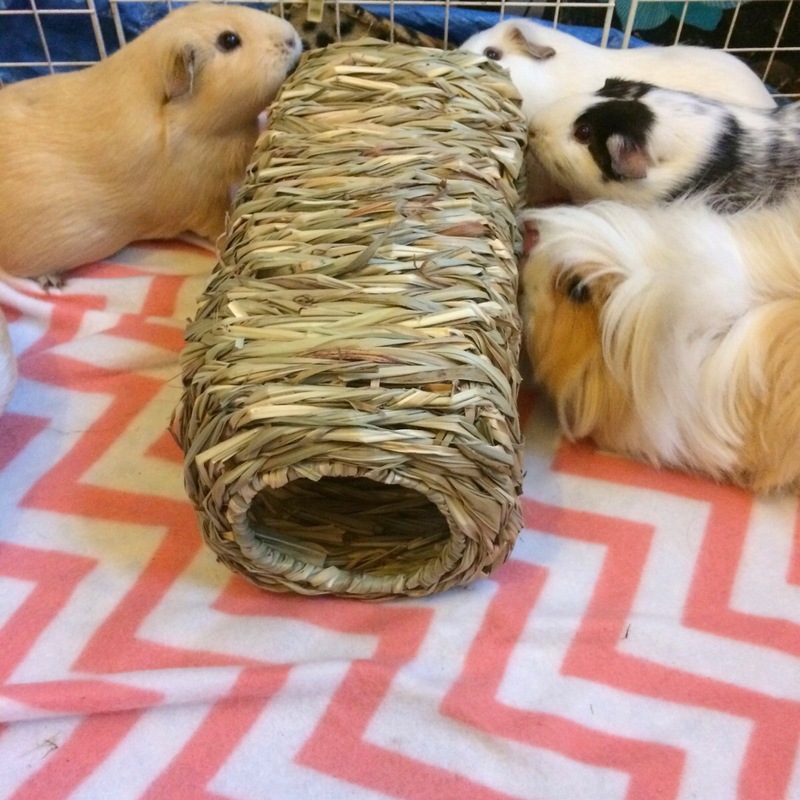 Stack ‘n’ Hides aren’t intended as a food source but will certainly do no harm if (or more accurately when) your Guinea Pig chews or snacks upon it. 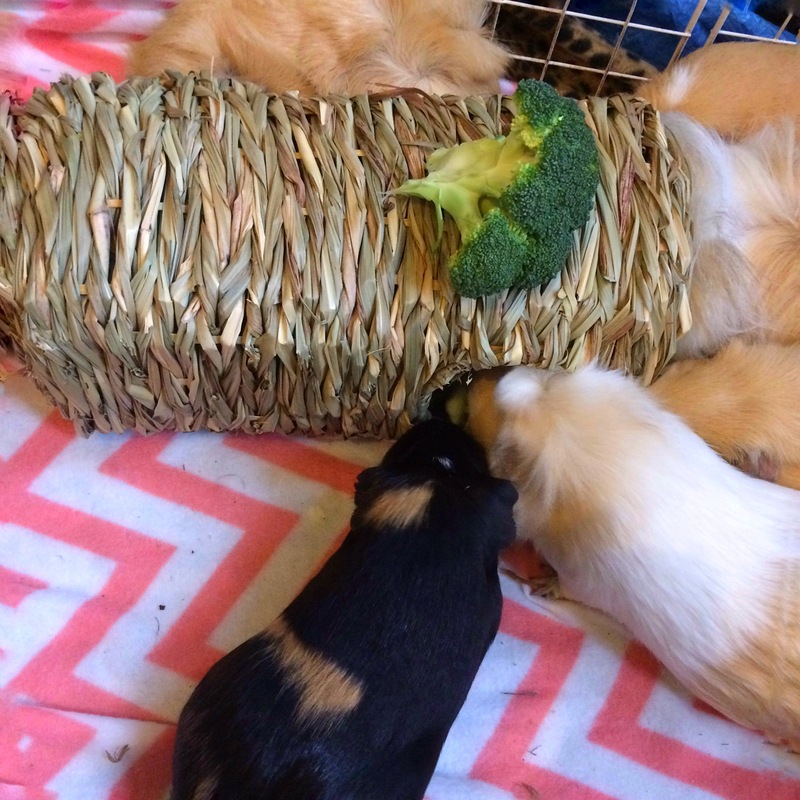 Chewing on the Stack ‘n’ Hide will help your Guinea Pig keep their ever-growing teeth healthy. Because the Stack ‘n’ Hide is entirely woven from bulrushes there are no structural wires or hidden glue that could endanger your pets. The Stack ‘n’ Hide Den must smell very appealing to Guinea Pigs because the first thing the Squidgypigs did was start tearing mouthfuls off. 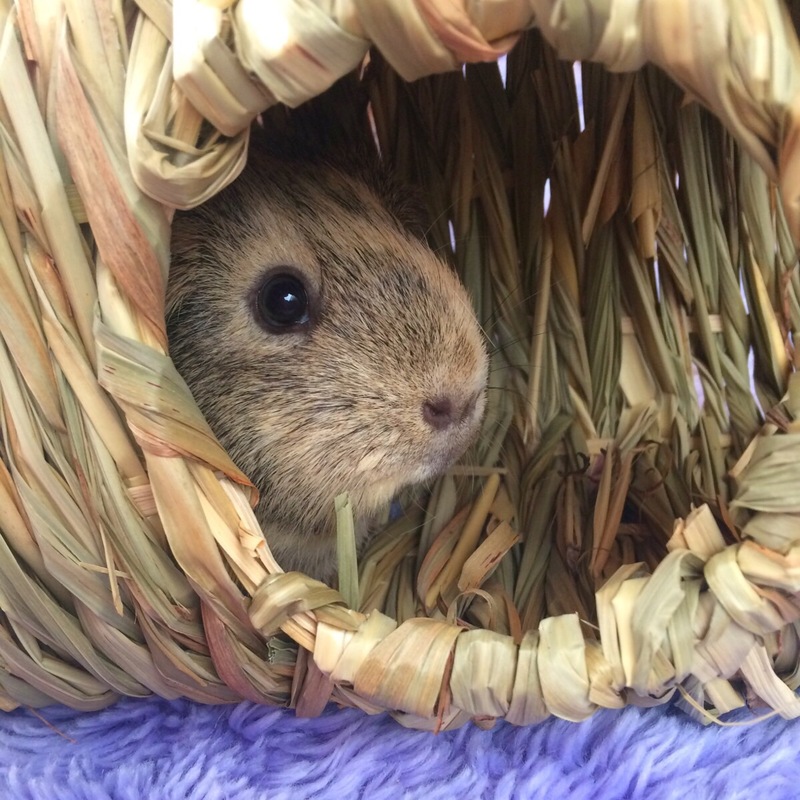 Alongside eating and pooping one of any Guinea Pig’s favourite activities is “pushing a friend out of a comfy bed” so it comes as no surprise that the competition for the comfiest spot in the Stack ‘n’ Hide Den is hotly contested. The weave is structurally sound and sturdy whilst still being sufficiently comfy to warrant “pushing your friend out of their bed”. 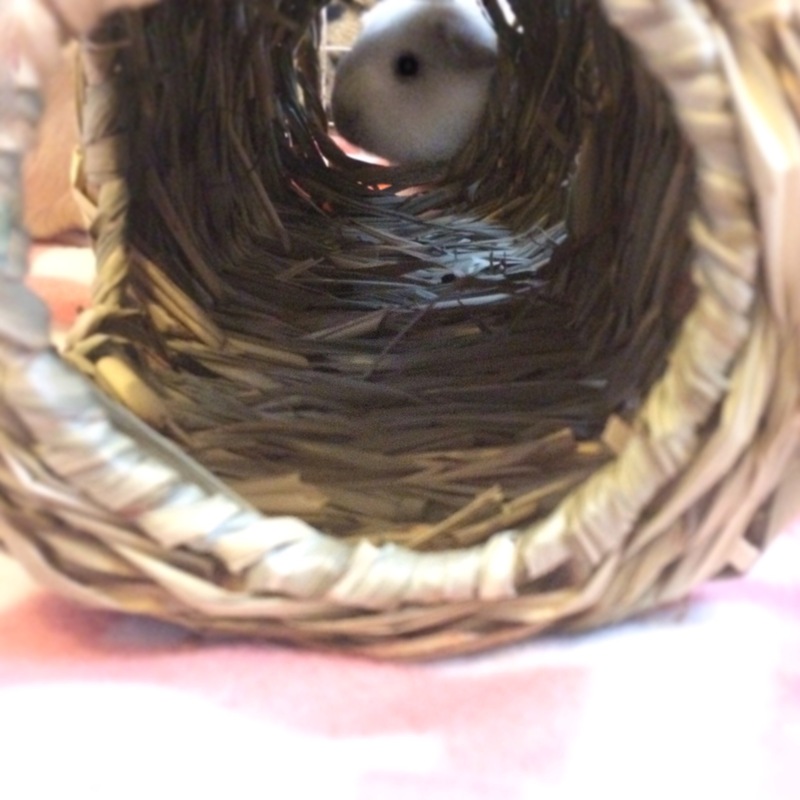 As prey animals Guinea Pigs love tunnels and I can envisage much fun can be had simply by running through the den. The holes in the den are a generous size and even our fattest of fluffs could easily squidge through at one point easily fitting two full size fat fluffers in the den. Each Squidgypig had a fantastic time with the Rosewood Naturals Woven Stack ‘n’ Hide Den. They enjoyed chewing, eating and playing in and on the den. I think this product would be a fantastic addition to any Guinea Pig cage. It’s well proportioned and seems a very safe and enjoyable toy. Have you tried the Rosewood Stack and Hide Den yet? I’d love to know your experiences below in the comment section.